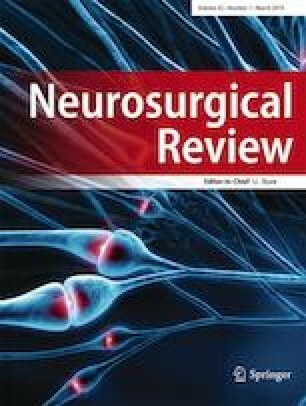 In vestibular schwannoma (VS) surgery postoperative facial nerve (CN VII) palsy is reducing quality of life. Recently, we have introduced a surgical suction device for continuous dynamic mapping to provide feedback during tumor resection without switching to a separate stimulation probe. The objective was to evaluate the reliability of this method to avoid CN VII injury. Continuous mapping for CN VII was performed in large VS (08/2014 to 11/2017) additionally to standard neurophysiological techniques. A surgical suction-and-mapping probe was used for surgical dissection and continuous monopolar stimulation. Stimulation was performed with 0.05–2 mA intensities (0.3 msec pulse duration, 2.0 Hz). Postoperative CNVII outcome was assessed by the House-Brackmann-Score (HBS) after 1 week and 3 months following surgery. Twenty patients with Koos III (n = 2; 10%) and Koos IV (n = 18; 90%) VS were included. Preoperative HBS was 1 in 19 patients and 2 in 1 patient. Dynamic mapping reliably indicated the facial nerve when resection was close to 5–10 mm. One week after surgery, 7 patients presented with worsening in HBS. At 3 months, 4 patients’ facial weakness had resolved and 3 patients (15%) had an impairment of CN VII (HBS 3 and 4). Of the 3 patients, near-total removal was attempted in 2. The continuous dynamic mapping method using an electrified surgical suction device might be a valuable additional tool in surgery of large VS. It provides real-time feedback indicating the presence of the facial nerve within 5–10 mm depending on stimulation intensity and may help in avoiding accidental injury to the nerve. We thank Anja Giger and Chantal Zbinden for medical illustration/editing the figures and Susan Kaplan for editing the manuscript. The mapping-suction device was developed by two of the authors (AR and KS). The University of Bern receives royalties from Inomed. The other authors report no conflict of interest concerning the materials or methods used in this study or the findings specified in this paper. This study was approved by the local ethics committee (Project ID 2017–02325). All patients signed the necessary consent forms.